GCSE Year 10 Art class painted the town red (well, all sorts of colours actually!) in July. 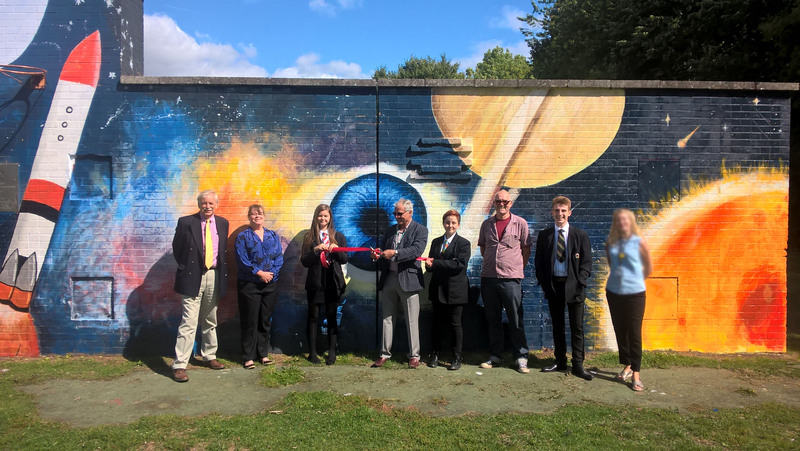 The Academy students were proud to collaborate with local artist Fred Fieber on their amazing mural on the Queen's Wall in Tidworth. The sun shone, the paint flowed and all our pupils enjoyed leaving their mark in such a creative and inspired fashion. We are so fortunate to have such talented young people in our midst.